This enigmatic picture reminds me of the 2007 Todd Haynes movie ‘I’m not There’ staring a handful of actors including Cate Blanchett as Bob Dylan. 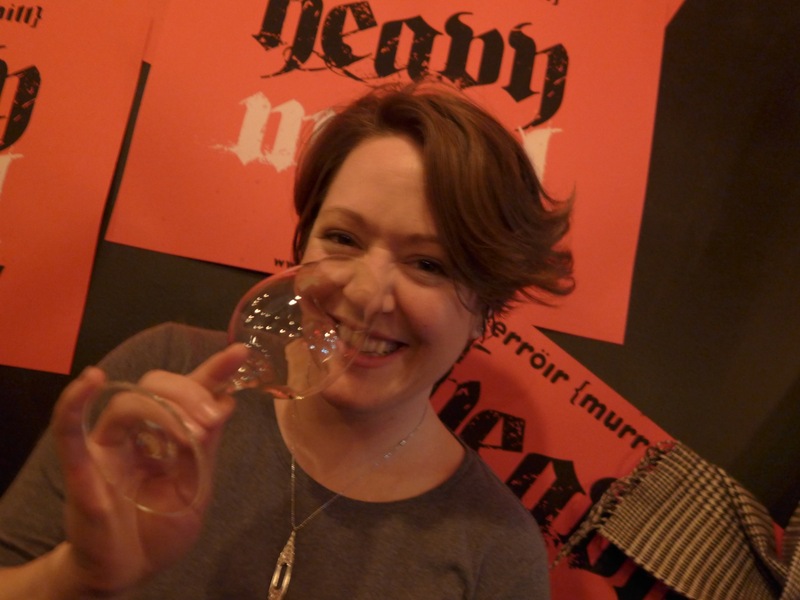 That fits, because the person pictured, Rienne Martinez, has just become the ex-manager of the Terroir wine bar in Murray Hill/New York Wine City (NYWC) and today also left the city. Writing that reminds me of how at the end of Led Zeppelin concerts someone would portentously announce over the PA that, “Led Zeppelin have left the building”. Although she’ll be back for a few weeks in December after that Rienne heads off to the Carl Erhard winery in Rüdesheim am Rhein (Rheingau) to live and work in the town I spent just under a year living in when I attended the nearby Geisenheim wine school in 2008/9. She already test drove this position and the town so she knows that she won’t hate it and figured out that Star Market on the Geisenheimer Strasse is the place to shop for food, which is more than I did before moving into my rented room there on October 3rd 2008! 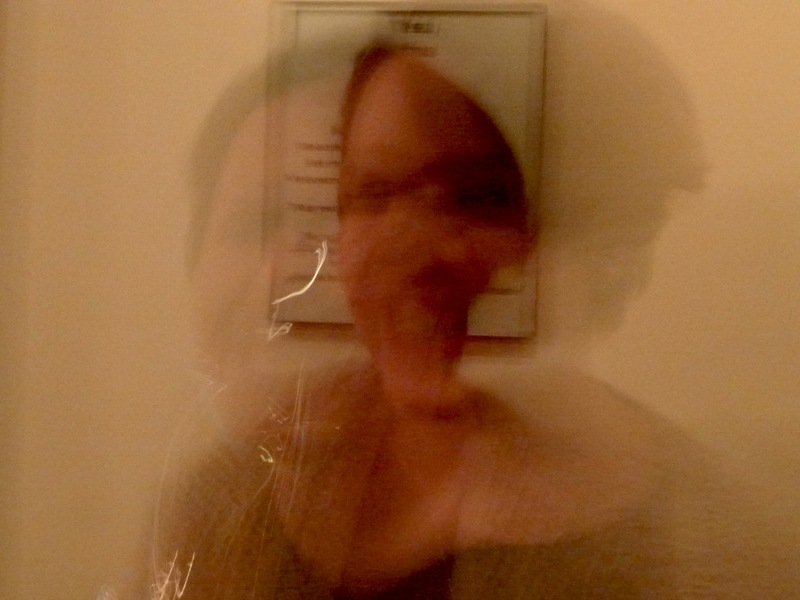 For those of you who’ve never met Rienne I add the picture left in which her features are more easily recognizable and she looks less like a Francis Bacon painting. I hope that you can get a good idea from this of how Rienne combines an enormous enthusiasm for wine with considerable knowledge and experience, yet has retained a drinker’s perspective rather than drifting off into the geekosphere as so many somms do after a while. Given this, it fits that she should want to deeply immerse herself in wine for a longer period and somewhere like the Erhards’ small winery is ideal, not only because they are very friendly and open people, but also because the wine culture of Germany has hardly been bastardized at all by the bean counters and marketing spin doctors who have got their claws so deeply into so many regions around Planet Wine. This is something I recommend all readers to do if you can find a way to make it work: Live the Riesling Story! 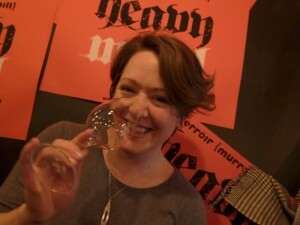 Last week I met with Rienne at Terroir. During our meeting she picked up my Pinot Noir and then told me she was leaving in a few days. Her work with Erhard is really exciting and I am sure many of us will be over to visit.